subjects of these reflections are varied indeed: Gauguin's House of Pleasure on Hiva Oa island; the Vietnam Veterans' Memorial in Washington; a book about Simpson and his donkey and the making of myth, and much more. 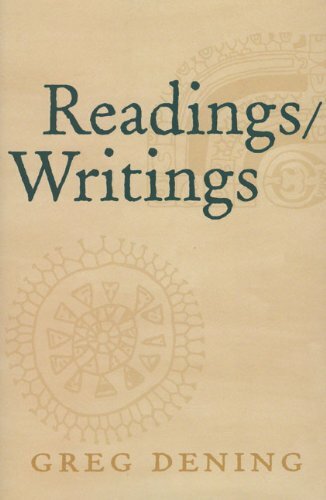 Readings/Writings is a new genre of work for Greg Dening. It will situate him in the ranks not only of great Australian historians, where his reputation is already firmly established, but also of great Australian writers.